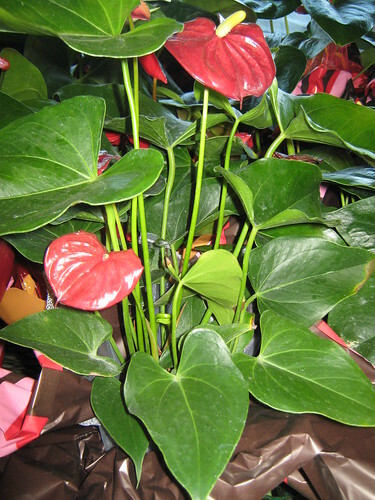 My Today's Flower contribution for this week a beautiful heart shape flower name Anthurium. 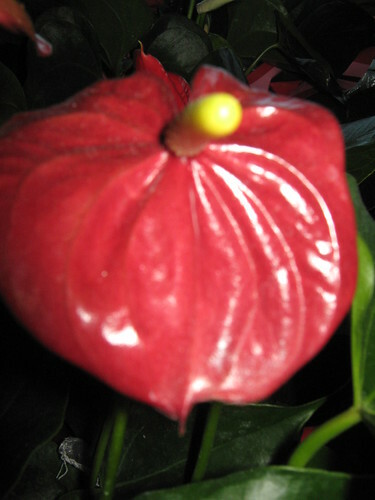 These kind of flowers are very common in the Philippines and I have more than 100 Anthurium before with different colors. Thanks to Luiz Santilli and Denise BC for hosting the site. If you love to participate feel free to join and don't forget to add your name in the auto link. That is a very healthy specimen. Either you have the right humidity and temperature for them or green fingers. What an interesting flower so pretty! Love the color! They are very exotic looking! I have seen them in the florist shops where they are used in flower arrangements ... but I have never had one of my own! Lovely photo! The Anthurium is a very beautiful flower and I saw different colored ones recently at the botanical gardens in Washington DC. Your photographs are lovely. Thank you for sharing them.